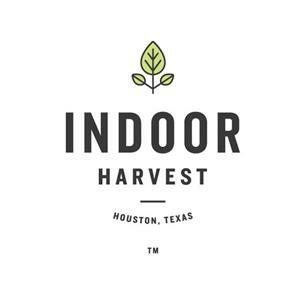 HOUSTON, Oct. 26, 2017 (GLOBE NEWSWIRE) -- Indoor Harvest Corp. (OTCQB:INQD), a developer of personalized cannabis medicines and a provider of advanced cultivation methods and processes, announced today that it has selected Harvest Air LLC., as its HVAC partner to develop integrated solutions for precision cannabis production. Harvest Air has a patent pending HVAC system that uses air-to-air economization to allow producers the ability to use outside air to cool and dehumidify the cultivation environment, without bringing that outside air into the cultivation environment. The result is precise control of the cultivation environment, with the lowest operational cost among all other qualified systems. “We are excited about the opportunity to collaborate with Indoor Harvest on this project. I have long thought that the Company has surrounded itself with some of the brightest mechanical minds in this industry, and I am a true believer that the Indoor Harvest High Pressure Aeroponic system is the best system for pharmaceutical-grade cannabis production, at scale. No other cultivation system gives a producer the level of precise control of the root-zone environment, and when combined with the precise control of the canopy micro-climate that the Harvest Air system provides, I believe we are going to develop some amazing strategies that will take cannabis production to the next level,” stated John Zimmerman, CEO of Harvest Air. “John has been one of our longest serving Directors and a great partner. Our backgrounds and similar passions in the mechanical industry brought us together over two years ago and this partnership is a culmination of thousands of hours of design and engineering work. I believe our combined efforts will prove quite disruptive and I’m looking forward to announcing the rest of our key development partners in supporting our efforts in Arizona, Colorado and Texas,” stated Chad Sykes, Founder and Chief of Cultivation of Indoor Harvest. Development of HVAC systems will take place in Tempe, Arizona, as part of Indoor Harvest’s planned cannabis demonstration farm. In exchange for Harvest Air’s support and services, Indoor Harvest has agreed to exclusively utilize any developed hardware and strategies provided by Harvest Air in its future developments in Parachute, Colorado and Stockdale, Texas, or other location in Texas approved under the Texas Compassionate Use program. Harvest Air, LLC is a developer of HVAC technology specific to the Controlled Environment Agriculture (CEA) industry, centered around its patent pending air-to-air economization system. Whether for use in a greenhouse, or an indoor production facility, Harvest Air designs its systems to be the most efficient, the most scalable, and the lowest total cost of all other appropriately designed systems. For more information about Harvest Air, visit www.harvestairllc.com. Global Payout, Inc. is Preparing for its Listing on the OTCQB Venture Marketplace.